SK Telecom (NYSE: SKM) and Nokia today announced that they have successfully developed a mission-critical LTE System for first responders, a portable all-in-one Public Safety-LTE (PS-LTE)* network system. *A public safety network is a wireless communications network used by emergency services organizations, such as police, fire and emergency medical services, to prevent or respond to incidents that harm or endanger persons or property. The PS-LTE network refers to an advanced public safety network based on the LTE network. Although compact enough to fit into a backpack, the system is equipped with all elements required for mobile telecommunications, including a base station (eNB), switching system (core network: Evolved Packet Core, Home Subscriber Server, Policy and Charging Rules Function, etc.) and Push To Talk (PTT) technologies – to instantly create an independent communications network to be used by public safety workers/emergency services. SK Telecom and Nokia were able to realize the world’s first portable all-in-one PS-LTE network by applying Network Functions Virtualization (NFV) technologies to the core network elements and PTT solutions to fit them into a small rectangular shaped server. The existing portable LTE systems were only composed of a base station, and thus still needed to be connected to a backhaul network to enable communications. Moreover, the system offers scalability as it can add other communication solutions (e.g. user management program, group messaging, etc.) needed by public service agencies. With the portable all-in-one PS-LTE system, first responders at the site of emergencies can communicate with each other over the instantly created LTE network. The network deployed with the system provides coverage of five kilometers and accommodates up to 400 users, and has a set-up time of less than three minutes. Since signing an agreement for joint development of disaster communication technologies in October 2015, SK Telecom and Nokia have been working closely to develop diverse disaster communication technologies, including portable LTE system and real-time Group Communication System Enabler (GCSE) based on mobile evolved Multimedia Broadcast Multicast Service (eMBMS)*. 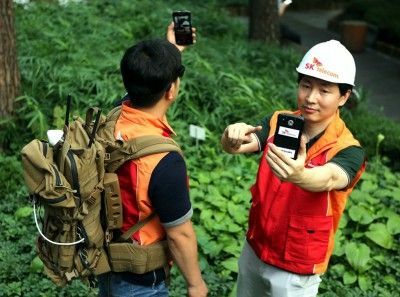 SK Telecom plans to conduct a trial for the portable LTE system within this year, and to actively utilize the system to expand the national disaster safety wireless network as well as the ‘LTE for Maritime Wireless Communications (LTE-Maritime)’ project in 2017.